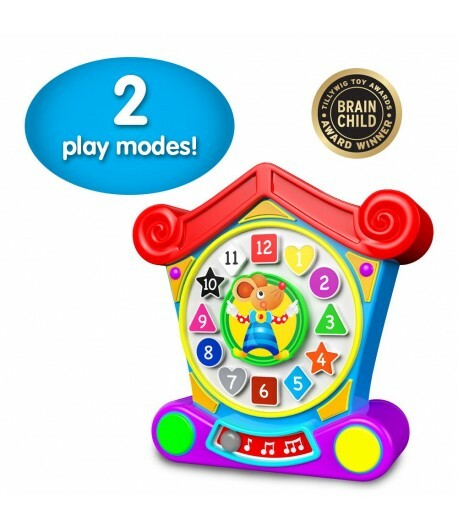 Little ones will have a fun time learning their colors, numbers, shapes and nursery songs with this entertaining mouse and clock! 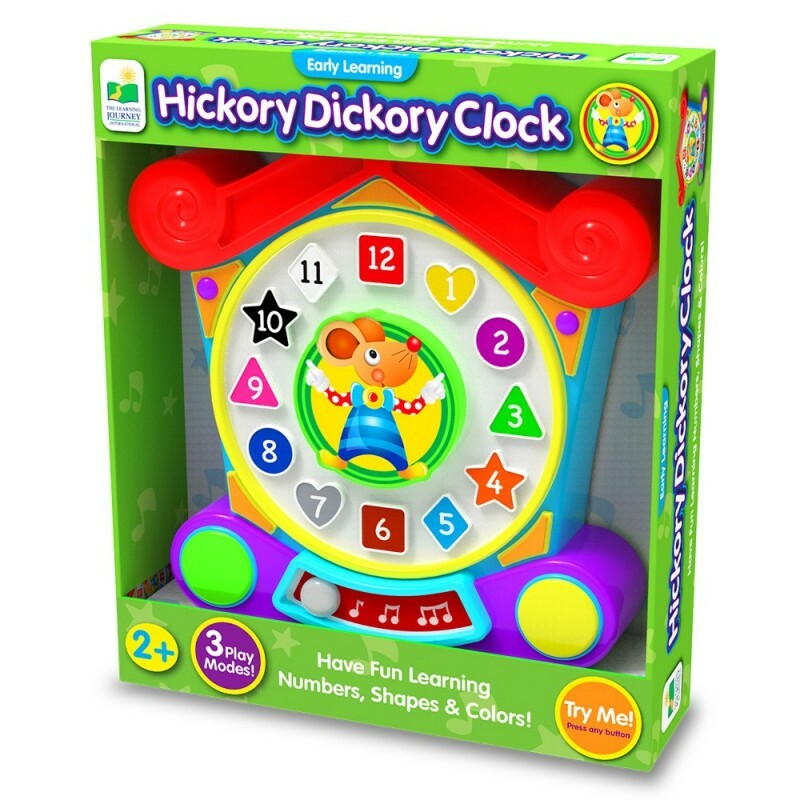 Hickory Dickory Clock has three play modes – Discovery, Find It! and Melodies. 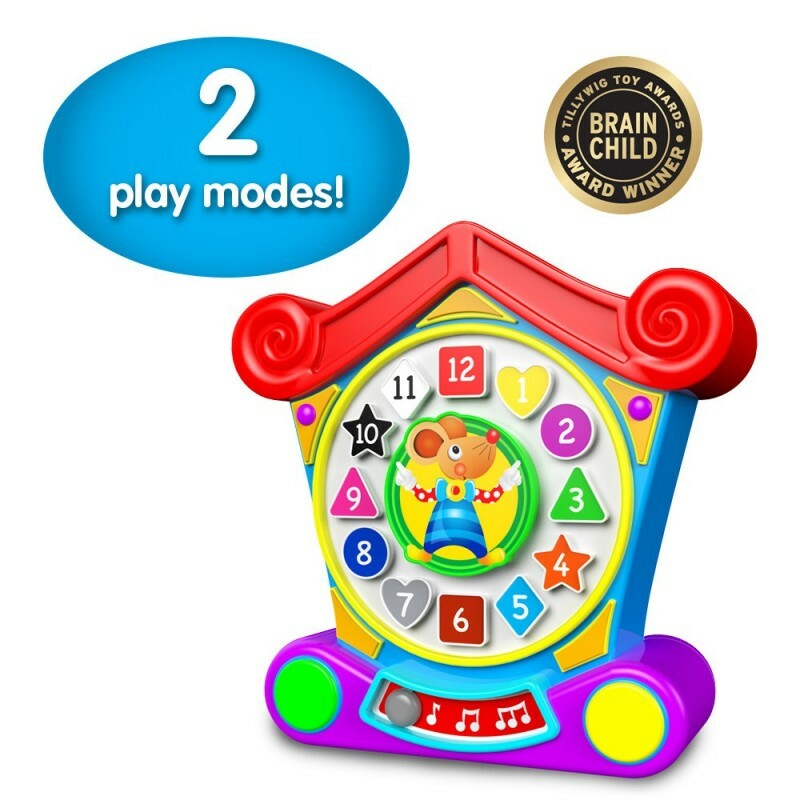 In Discovery Mode, simply press any button on the clock face and the mouse will tell you what color, shape or number the button is. Find It! 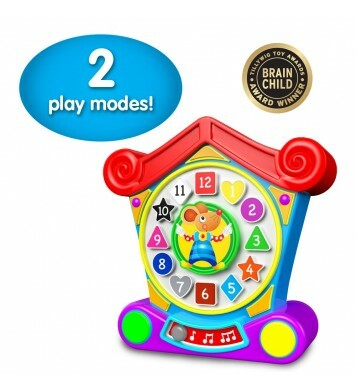 Mode asks questions to find the colors, shapes and numbers. 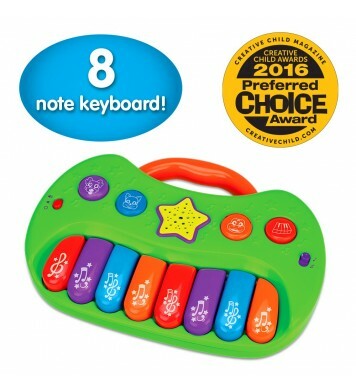 In Melody Mode, press any button and it will play a favorite nursery song. As an added extra, spin the mouse around the clock and hear fun, quirky sound effects. Hickory Dickory Clock will entertain for hours! Requires two AA batteries (included).